In April, four separate Avondale Business School research grant applications were successful in gaining approval, totalling $8,000 worth of research funding for these projects. These grants, applied for through the Christian Education Research Centre, will be used to undertake research on projects including reviewing the introduction of incorporated entities into the Seventh-day Adventist Church Conferences within the Australian Union Conference, a review of what employers in faith-based organisations desire in Christian Business School graduates, challenges and opportunities facing women in Christian academic institutions, and exploring employee perceptions of ideal leadership development practices in NNSW Adventist Schools. In addition to funding for the above projects, Avondale College has recognised the research activity of the Avondale Business School, providing an additional $5,000 in funding to enable additional research projects to take place. A number of ongoing research projects are continuing, facilitating a high level of research activity from the ABS staff. Corporate culture should be on the radar of every organisation, and it is fast becoming the role of the board to get deeply involved in it. Corporate culture is much more than compliance, rules, processes and procedures. It is very core of the organisation, and what it really is. 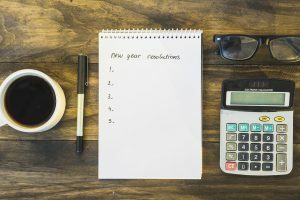 This entails finding a way to score corporate culture, which may mean suing a variety of indicators to build an overall picture. Because there could be so much data to sift through, boards need to utilize a dash-board approach and to cross-references anything that may have a story to tell. Whatever indicators a board chooses, they need to be forward-looking. It is difficult, but boards need to understand the views of employees and other key stakeholders. Balancing the need to not micromanage, boards should be informing themselves to the point they are satisfied the company has a comfortable relationship with key stakeholders. This may well involve firsthand contact of board members, and data from opinion surveys. The challenge for boards is to decide which stakeholder’s matter, what indicators of Behaviour to monitor, and to ensure the right information flows up to them from the appropriate sources. But before any of this can happen, the board must be very clear on what their values are and what their company is there for in order to determining what behaviors are most important and how the organisation should relate to stakeholders. Doing this will see employees having a sense of purpose that goes way beyond just making money. Instilling this sense of purpose is the task of governance. Avondale Business School (ABS) can help you with your governance and board practices. To find out how just contact Dr Warrick Long on Warrick.long@avondale.edu.au or 02 4980 2168. 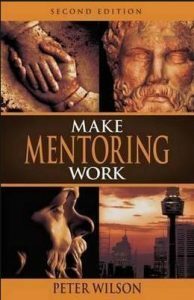 ‘One career, many mentors’ – that is the key for emerging leaders to ensure opportunities to develop leadership and gain experience, according to Peter Wilson in the second edition of his book ‘Make Mentoring Work’ (2015, Major Street Publishing). Wilson puts a convincing case that top workers are looking for employers that will invest in their skill levels and career learnings – and mentoring is tailor made for that. However this book is about so much more than just mentoring, that is pleasantly surprised me. While it is very comprehensive in providing information on mentoring, the role of mentors and mentees, it is also a great introduction to effective leadership. The book is laden with many examples of mentoring and leadership, direct from some of Australia’s best leaders of the last 50 years. I highly recommend this very well researched book, supported by evidence that provides the definitive text on mentoring in Australia. Read this book felt like having a private audience with a true sage where we unravel the mysteries of mentoring and leadership. A beaming David Wilson walked out of the six panel interview room at Wagga Wagga CSU campus on the 28th of March 2019 with confirmation received to proceed with his PhD titled “Effective leadership in Community-based informal groups”. Under the supervision of Drs Pamela Lockhart and Larissa Bamberry. David has been developing his proposal for a study in informal leadership in the context of the CHIP environment for a PhD at Charles Sturt University (CSU). His PhD will focus on exploring the impact of the relational leadership of the CHIP facilitators and the participants. His study will make a contribution to leadership in informal groups and would highlight the significance of the voluntary leaders in critical life-changing and life-saving decision making. David Wilson took up a Lecturer position at Avondale College in 2014 teaching in the Avondale Business School (ABS). He teaches across Accounting, Management and Marketing Units. He also has the Course Convenor responsibility for the Bachelors of Business Degree course. He enjoys working with the ABS team comprising of Associate Professor Lisa Barnes, Dr Warrick Long, Dr Peter Williams and Diane Smith. He previously worked in New Zealand as a Business manager at the Institute of Information Sciences, Massey University and then as a Senior Accountant at the North New Zealand Conference and New Zealand Pacific Union Conference. Prior to that he worked as a Retail, Transport and Operations Manager with Diary Farms International based in Singapore. David is looking forward to the challenges ahead that is associated with the PhD studies in CSU and other research projects with his team at Avondale. When thinking about organizational redesign, failure is all but guaranteed if the informal networks of the organization are ignored. These informal networks and structures are how work actually gets done in the organization, irrespective of the formal structures. Such structures can be formalized in adaptable networks of teams, which work best for interactions with the external environment, such as sales and product development, being cross0-functional and decentralized. 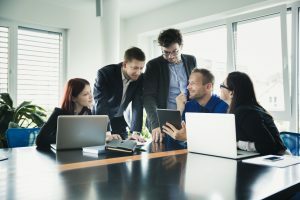 However what is a little surprising in this article is that traditional hierarchical models are often better for teams that internally support an organization, that are execution-focused like finance and more of a centralizes shared-services function. Using data collected from the organisation through either active measures (e.g. surveys) or passive methods (e.g. emails, calendar invites), both the visible and invisible communication networks are revealed in ONA, which shows you who is actually working with whom to get jobs done. This enables seeing where potential breakdowns might occur and for leaders to respond more proactively rather than reacting. Using this information and seeing how people actually work together, shortcuts and informal collaboration can be supported in order to have greater efficiencies. And importantly, the article emphasizes that there is no one-size-fits-all model and to consider using multiple methods within your organisation. 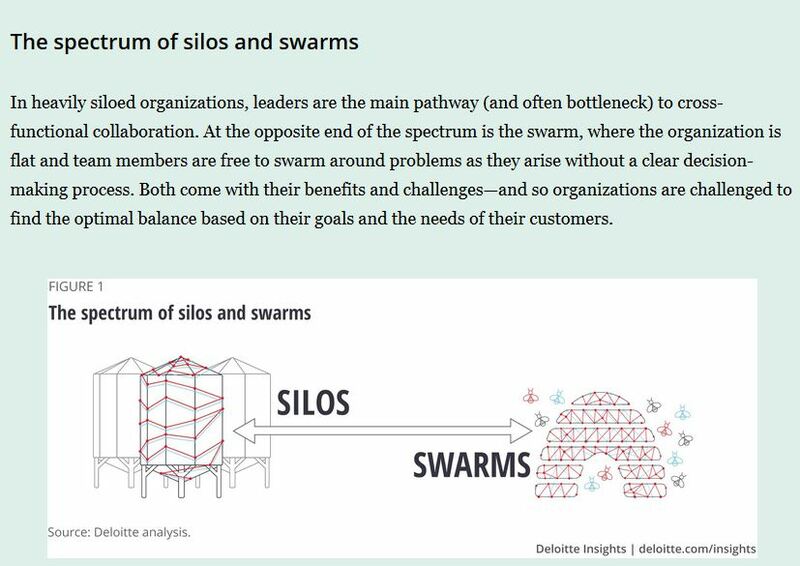 Posted in Uncategorized | Comments Off on Silos or Swarms? What does it take to move a good board to becoming a great board? A recent publication from the PWC governance Insights Center (read it here) provides a series of questions that guides you through this very process. This excellent article is easy to read and provides great guidance and explanations as to what boards can do to address these questions. The 9 questions are listed below, but the document expands on these so to get the maximum benefit, it is highly recommended you follow the link to the whole article. What skills or attributes are we missing? How well are our committees functioning? Do we have strong board and committee leadership? Are we getting our agenda right? How could our pre-meeting materials be improved? How effectively are we engaging with management? Are we making good use of executive sessions? How do we get more value from our performance assessments? 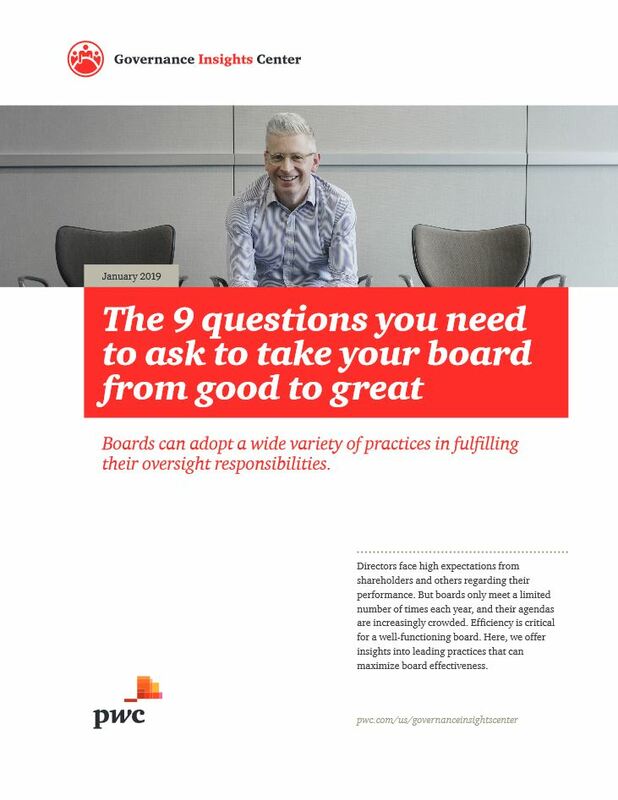 Think about your board, and how you might use these questions to move from good to great. The Avondale Business School (ABS) can also help you and your board become greatt, simply contact Dr Warrick Long at Warrick.long@avondale.edu.au or 02 4980 2168. If it’s not one thing, it’s another – either technology is changing, structures are changing, or the economy, or all three at once, or something else again. So when leadership announces to employees another organizational change, is it any wonder there is usually a collective groan from change-fatigued workers who get defensive at the idea. Patti Sanchez in her excellent article ‘The Secret to Leading Organizational Change is Empathy’, (read it here), addresses this touchy issue and offers leaders some sound advice: how information is communicated to employees during a change matters more then what information is communicated. Sanchez builds a strong case for communicating empathetically, while being honest enough to admit most leaders don’t know how. Profile Your Audience at Every Stage: Take the time to identify the key groups of employees based on how they might feel about the proposed changes, then plan communications to address them accordingly. Typically they may be excited, frightened or even frustrated. Tell People What to Expect: so the more informed people are, the more they will be able to process the discomfort they may feel. While this should be a no-brainer, it seems to be a non-starter for most leaders. Trust your employees and just tell them what is going on. Involve Individuals at All Levels: Unless there is broad involvement, the change just won’t happen. These look so common sense, and yet few leaders actually take the time to put them into practice, thus stymieing their transformation process. Do you think you could at least try these the next time you are involved in change? And the Avondale Business School (ABS) can help you with this, just contact Dr Warrick Long warrick.long@avondale.edu.au to find out how. Students in BBUS22070 Management of Information Systems tested the online platform of ordering pizzas used by “Dominos”. They tracked in real time the process of ordering, making, transporting and ultimately delivering of the pizza. The class used the experience to test the reliability of the online platform, from the initial online order, to payment and ultimately to assess if the order was correctly prepared and delivered in a timely manner. The final test of course was the taste test – of which all agreed was a success. This exercise was created by our new sessional lecturer Dr Homa Freeman, a newly graduate PhD in the area of Information Technology. Students agreed this was a great way to test IT systems and online platforms, as well as share a tasty dinner together. The class is planning an excursion to visit the Avondale College IT team, to see the challenges of a real world IT division within a higher education provider. Great to see students doing practical applications of the theory they learn in the classroom. 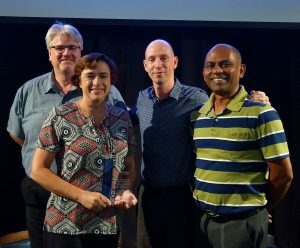 The 10th Sydney International Business Research Conference was recently held, where the conference Chair was Associate Professor Niloufer Selvadurai, who is an expert in Intellectual Property Law from the Macquarie University Law School. 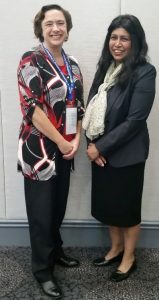 Seen here with Associate Professor Lisa Barnes who was also invited to the Conference as a Keynote speaker on the topic of “Research and Collaboration” to share in her journey in the murky waters of research and publications. 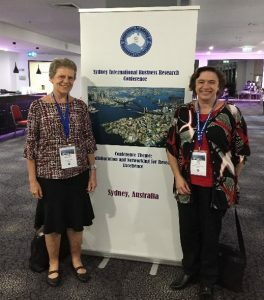 Papers were presented by researchers from as far away as Sweden, and it was a great opportunity to network with researchers not only from Australian Institutions but from many institutions located in Malaysia, South Africa and the United Kingdom. Avondale College is partnering with Alphacrucis College on a joint research project entitled: “Women in Higher Education Institutions: Constraints and Enablements”. The project arose from the invitation extended by the Avondale Women’s Group to Professor Lily Arasaratnam-Smith who is the Deputy Vice President Student Affairs and Chair of Academic Board of Alphacrucis College. Lily Arasaratnam-Smith gave a presentation on challenges and opportunities for female academics, particularly in light of the current “male, pale and stale” executive environments in the higher education sector. On sharing her experiences, she invited Associate Professor Maria Northcote (Discipline of Education, Avondale College) to share her academic journey at the Alphacrucis Women’s Executive meeting late last year. At this meeting Maria shared her “mistakes” as an academic, but also her learnings from those mistakes. Associate Professor Lisa Barnes from ABS was invited as the March 2019 guest speaker at Alphacrucis, and shared her journey and challenges to create a life/work balance, particularly in her role as a parent as well as Head of Discipline. Breakfast meetings, late running afternoon meetings and inefficient meetings all contributed to her imbalance, but the satisfaction she gets from the teaching, flexible working options and the support from her co-workers has contributed to less stress about the balance. Feedback from the presentation: “Thank you for your honesty, for your transparency on a subject that resonates well with me personally (especially the aspect of the mum-work-life balance). From your story, I am glad for the aspects where you have been victorious, thus paving the way for women in your wake. Although a difficult journey, your passion for advocacy for women has seen incredible victory. Thanks for sharing. From a fellow mum who is already wondering about dinner and hoping that my very helpful husband will remember to do homework with the 9 year old….”- Rachel. This sharing of experiences led to the notion of a joint research project. Based on a replicated study that so far has shown some initial similarities. Women in Higher Education: Challenges & Opportunities, a cross institutional study – watch this space.